The reasons are clear why Ontario-grown cut flowers and potted plants are the preferred choice. From the greenhouse to the store in no time at all, when you support our province's farmers and Pick Ontario, You are assured the freshest product available. 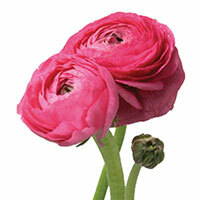 The lavish, crepe-like flowers of Ranunculus add a soft feel to arrangements. They are available in a wide range of colors, from pastels to brilliant tones, so there is sure to be a shade to suit any design or décor. Ranunculus flowers symbolize “radiant or dazzling”. 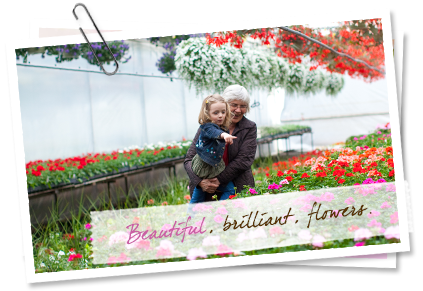 pickOntario is an initiative developed by Flowers Canada (Ontario) Inc. to raise awareness, interest and demand for Ontario-grown cut flowers and potted plants. When you pick Ontario, you are supporting the more than 600 greenhouse farmers who employ approximately 8,000 people in our province. 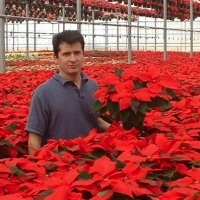 The growers in Ontario work hard to produce quality flowers and use the latest trends in technology and growing techniques to ensure their products are delivered fresh to local retail establishments, daily.